Physicians from other states who accompany an athletic team or organization to Nebraska for an event would be exempt from a state law regarding the unlawful practice of medicine under a bill considered Jan. 19 by the Health and Human Services Committee. 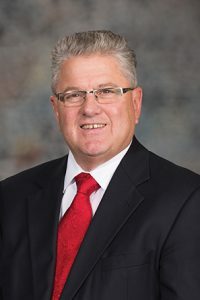 LB703, sponsored by Seward Sen. Mark Kolterman, would add athletic team doctors to the list of individuals who are not considered under state law to be engaging in the unauthorized practice of medicine. He said that a similar provision already exists in Nebraska law for athletic trainers. Current law allows exemptions for people rendering free services in emergency situations, and medical students under the supervision of a licensed physician, among others. The bill would be limited to physicians who are licensed in good standing to practice medicine under the laws of another jurisdiction. Matt Schaefer, testifying on behalf of the Nebraska Medical Association, supported the bill. The provision would cover collegiate teams as well as events such as the U.S. Olympic Swim Trials that recently have been held in Omaha. “It is our understanding – I’ve been told – that every other state in the Big Ten Conference has this sort of exemption for an out-of-state physician,” he said. No opposition testimony was offered and the committee took no immediate action on LB703.